Just days before Christmas one guy gave his girlfriend a surprise neither of them will ever forget. Roy Dufek’s girlfriend was moving out of her old place in Portland, US, and Dufek sold her divan bed for $200. 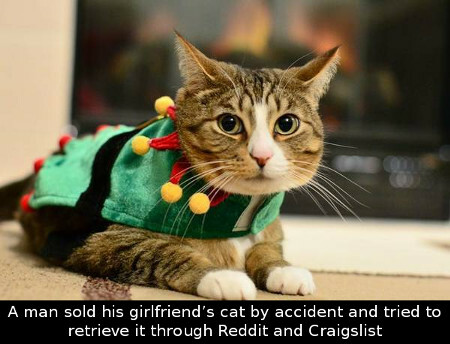 Unfortunately, he also sold his partner’s pet cat Camo with the bed. It turned out that the cat had hidden inside the box Mr. Dufek used to move the bed. 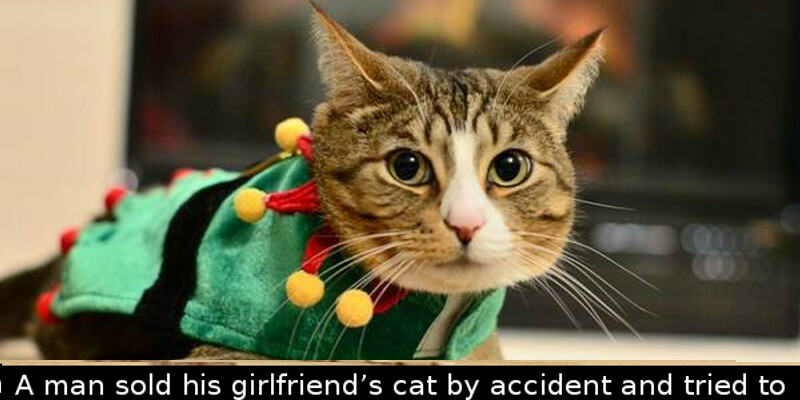 He strapped the package to his car and shipped it to its new owner not knowing the kitten was inside it. When Roy and his girlfriend realized that Camo was nowhere to be seen they immediately contacted the buyer and asked him to look for Camo. Unfortunately, the cat was nowhere to be seen. Roy then turned to Reddit and Craigslist in a desperate attempt to locate Camo. He even offered a $200 reward in cash for any person who could reunite Camo with her heartbroken owner. His ads state that Camo was his girlfriend’s whole world and that she’s extremely devastated.